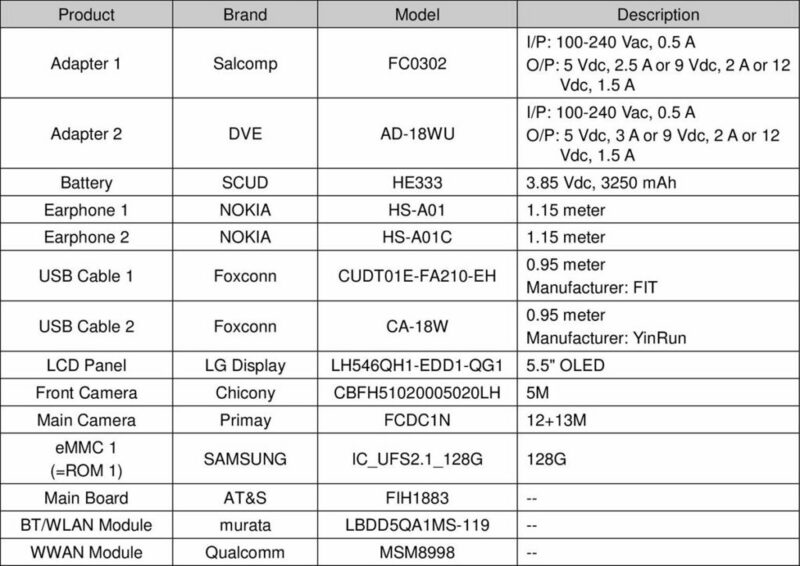 After getting the FCC approval for the mysterious Nokia device with code name TA-1047, HMD Global has just received the FCC approval for the Nokia 9 flagship device and some of the specifications of the device has got leaked online. The Nokia 9 comes with model number TA-1005 and according to the FCC approval documents, the new Nokia 9 will carry a 5.5-inch OLED display. The FCC approval documents also leaked other major specifications of this upcoming device. As per the FCC approval documents, the New Nokia 9 carrying the model number TA-1005 will sport a 5.5 inch OLED display made by LG, however the resolution of the display is not yet disclosed. This is the first time Nokia is using an OLED screen on their smartphones, after launching their this year flagship Nokia 8 with LCD display. Now talking about the camera, the device will come up with a dual camera setup on the back with 12-megapixel + 13-megapixel camera setup for portrait shots. On the front the device will sport a 5-megapixel camera, quite a surprise to see that Nokia moving with a 5-megapixel sensor when competitors like OnePlus are sporting a 16-megapixel front camera. Even the Nokia 8 had a 13-megapixel front sensor and this seems clearly a huge bump down from Nokia. Like the previous Nokia 8 this phone will also support Bothie feature, capturing images of front and rear camera at one go side by side. In the terms of performance, the device will come with the Snapdragon 835 processor, which is quite disappointing for a flagship device launching in 2018 with a year old chipset and with a fact that Snapdragon 845 has already launched. FCC further confirms that the new device will have 128 GB of internal storage capacity i.e. a UFS2.1 storage drive made by Samsung for consistent performance and device also supports external MicroSD card support. The device runs on the Android Oreo preloaded out of the box with Nokia's near stock UI. Talking about the battery, the FCC documents reveals that it will sport a 3250mAh battery with support for fast charging. Even a dedicated fast charger will be included in the box for better experience. The in box contents show that the device will come packaged with a pair of headphones, a USB cable manufactured at Foxconn, the type is yet to be revealed. There is no word regarding the price of the device or the date of launch, but it can be expected to launch during the MWC 2018 and priced around $500.